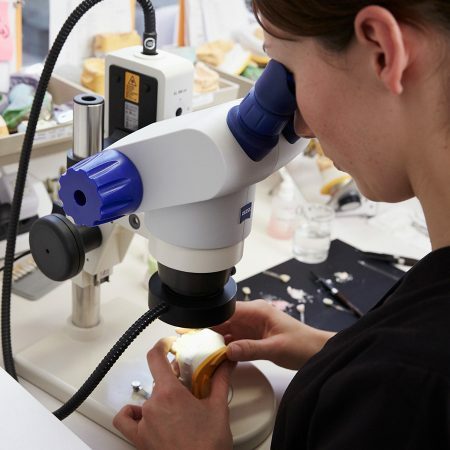 To provide you quicker and better with beautiful new teeth, we run our own master dental laboratory. Advantages are obvious: Not only saving travelling from and to the dental laboratory. Our master technician can get a personal impression of you and your teeth. Best conditions for a perfectly matching result, concerning shape and form. 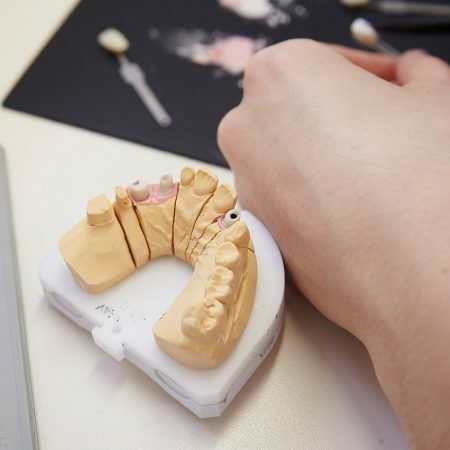 And if – despite high quality materials and perfect workmanship – a repair on your dentures should be necessary, we are able to do this fast and flexible on-site as well. Convenient, isn’t it? You see, high-class workmanship is important to us! And as we are convinced of our precise manufacturing, we grant a warranty more than double as long as required by law: That is to say 5 years as to manufacturing faults and material problems, provided that you have your teeth checked twice a year and professsionally cleaned during this time.